As we approached the end of summer break, my girls decided to experiment with some Back To School nail art and I really love what they came up with. 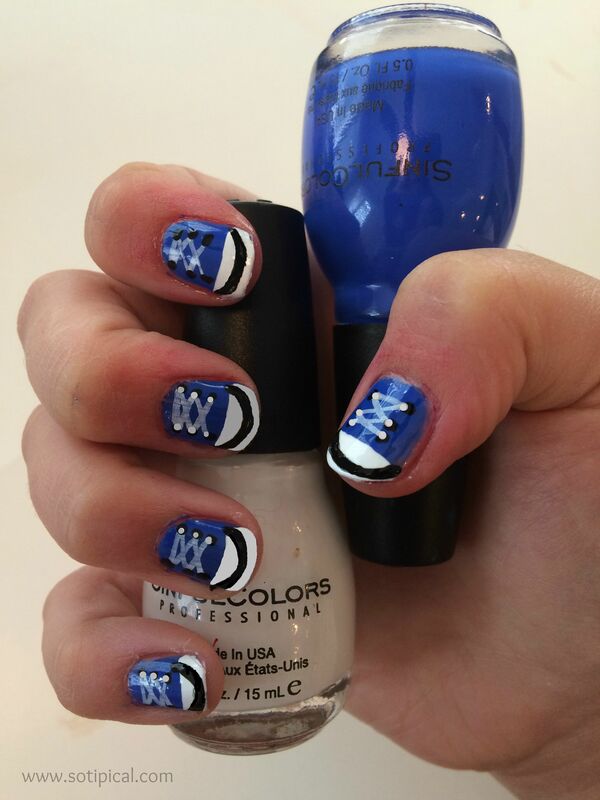 When I received a package of nail polish from SinfulColors® and Pure Ice®, they immediately started playing around with different back to school nail art designs. Here are some of their favorites. My oldest came up with this design. It was inspired by a new pair of shoes we got for school. This was her favorite design. It takes a little extra work and a lot of patience to create. You need a steady hand! My youngest loves to draw. She always has a pencil and paper nearby. We’ve done this pencil nail polish design a few times over the years, but she decided on the notebook paper design after we made the DIY Pencil Holders a couple of weeks back. I thought it was a really cute design and her friends loved it too! First we painted the whole nail the peachy color for the eraser. Once completely dry, we painted the yellow over about 2/3 of the nail. When dry, we taped off a strip for the silver. At the end, we painted a thin strip of back for the pencil point. Add top coat when dry. For the notebook paper, we just painted the nails white and allowed to dry. Then we used a pink and a blue nail art pen to make the stripes. You need a steady hand, which you can see I didn’t have that day! We each had a turn with chalkboard nails. Their nails were a little too small to easily write on. 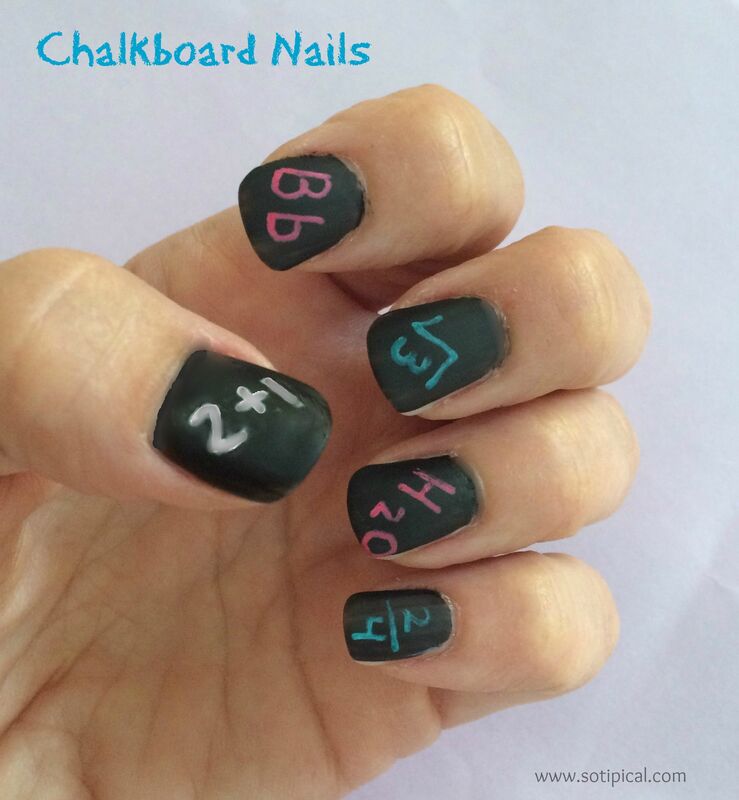 We ended up using my hands for the chalkboard nail art because it was easier to write on my nails. This was really fun, but I have to say it was the most difficult. I bought some nail pens from another brand and they really aren’t very precise and they often leak out too much polish. We painted over a couple of my nails 3 times until it was acceptable. The trick here is to just use regular black polish, then once you have “written on the chalk board”, add a coat of matte top coat. It covers the sheen and makes it look a lot like a real chalkboard! Make sure you allow each coat of polish to dry completely. Don’t attempt to “write” over the black unless its dry, otherwise it will easily smudge and the pen will make grooves in the top coat. The rainbow nails were fun too. They match almost everything in my daughter’s closet! This is what my oldest settled on for her first day of school. 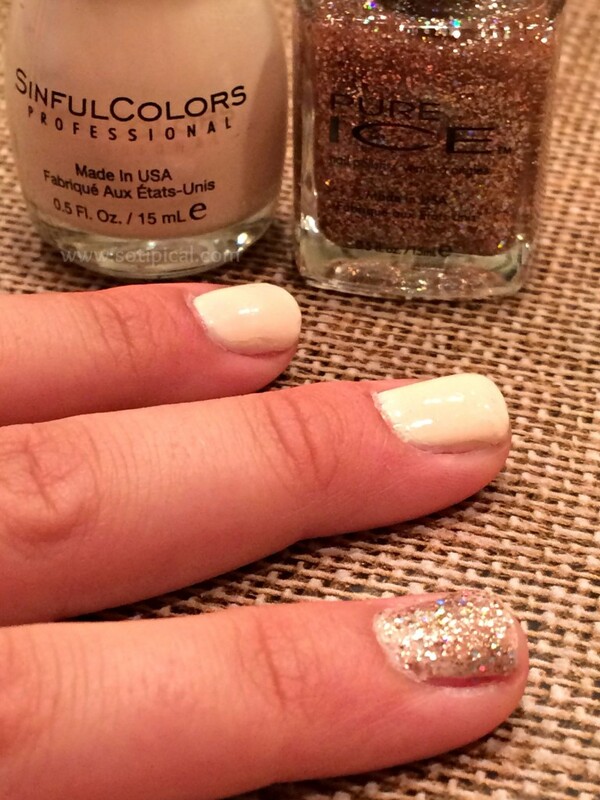 A neutral color with an accent of sparkle! My youngest chose a pretty peach polish and topped them with glitter. This picture doesn’t do it justice. The shade is so beautiful and looks so lovely with her golden skin. This was my favorite! I think they did really well! They’re already thinking up holiday designs for the coming months! Aside from all the fun options for nail design, I just wanted to mention why I love SinfulColors® and Pure Ice® nail polishes. First is the vast color choices! Look at all the options HERE! The price! Both brands can be purchased for under $2 per bottle! Perfect price point for my tween girls! They are both 5 Free! Free of Toluene, Formaldehyde, Formaldehyde Resin, DPB and Camphor. SinfulColors® and Pure Ice® are both made in the USA. 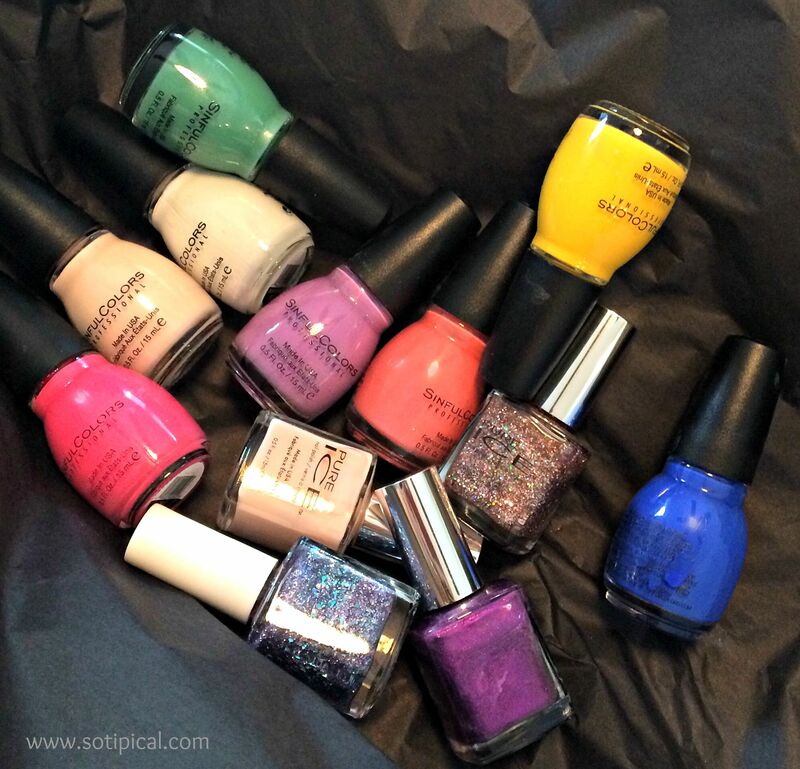 SinfulColors® is available at a wide range of drug stores and grocery stores. Pure Ice® is sold exclusively at Walmart. We’ve been using both brands for nearly 5 years and we love them! 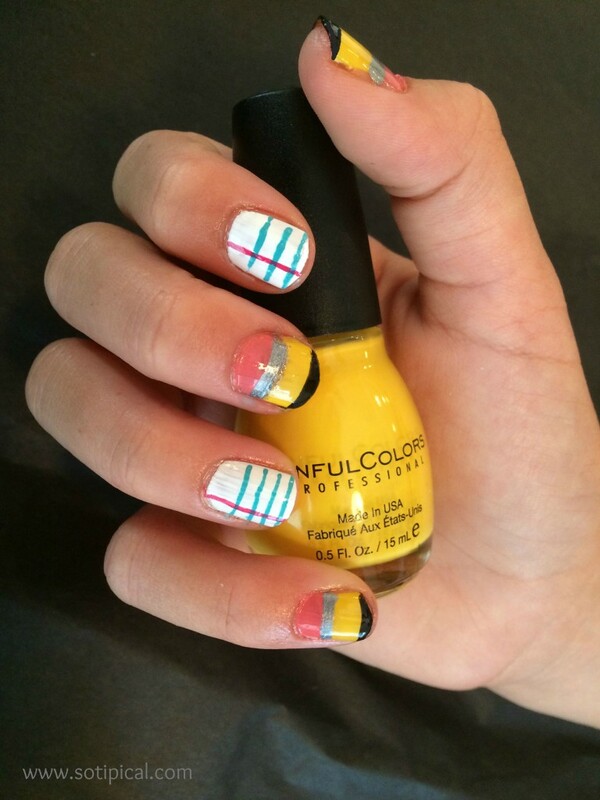 Do you create nail art for special occasions? Wow! So cute and creative. 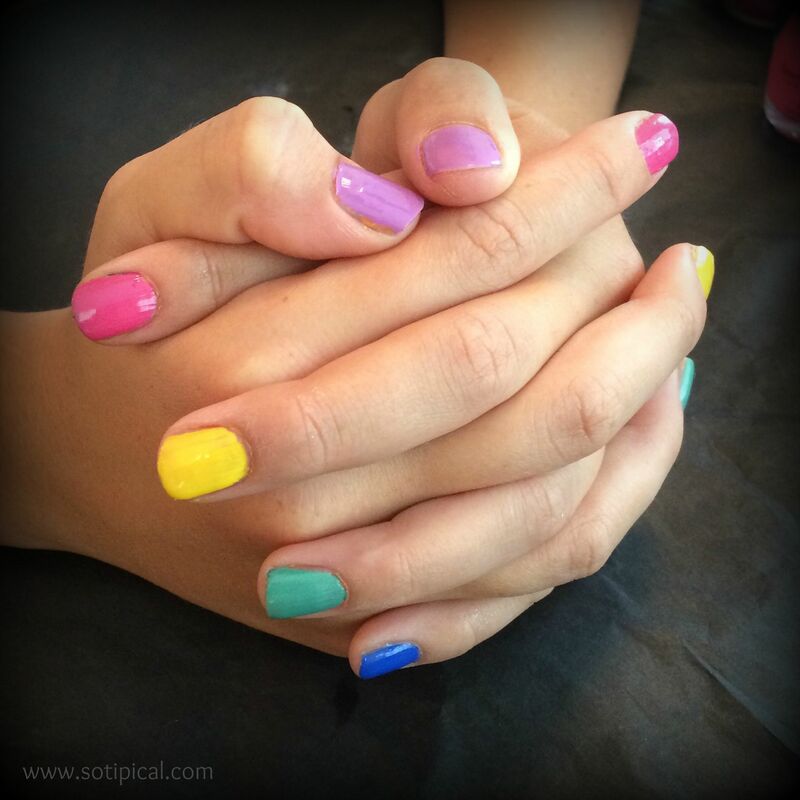 My youngest loves nail art and I know she’ll love the ideas here. Wow, these are super cute nail designs! I wish I had the talent & the patience to do my own nails, although I’m more of a pedicure person. Still…I’d probably save money at the salon if I could do my own pedis in these fun designs! Thanks. It takes lots of practice and even then, I still need more practice! I’d rather go to a salon, but I have a hard time carving out the time when I know there is other stuff I should be doing. I need to get OUT of that habit!